Self-described “rock ‘n’ roll post-punk” duo Bleached hails from LA, yet there’s something a little gritty about their sound, which to me is more reminiscent of the east coast. 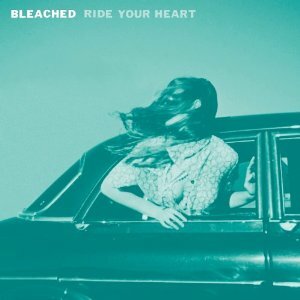 Intrigued by a band who would list both Fleetwood Mac and the Ramones as influences, I recently took a listen of their album, Ride Your Heart, because it sounded…well, it sounds like fun! My other favorite is the title track for the album, featuring punchy tambourines, retro synths, and a sort of Zombies-esque psychedelic vibe. Their punk roots are also evident on “Dead Boy,” a raucous little ditty, which would have made Joey Ramone proud. Ride Your Heart is the perfect summer soundtrack for jumping on your skateboard and heading to Bedford Ave to catch that shuttle bus to Rockaway Beach.